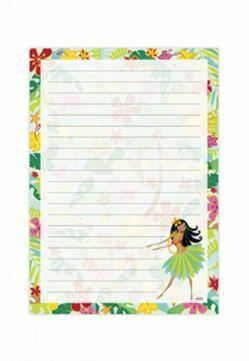 This Hula Maiden notepad is fun and colorful. It will add a touch of Hawaii to your stationery and is a great way to keep track of your daily tasks or reminders. This notepad is a great souvenir gift from Hawaii. Measures approximately 4-1/2" x 6"
love honu and don't have this one...…..